In late October, the long-lost HTC released the first blockchain mobile phone Exodus 1. The machine is more novel than the need to use virtual currency to purchase, specifically 0.15 bitcoin, 4.78 Ethereum or 19.84 Litecoin, which is about $970 at the time of the release of the bitcoin price . However, many people may know that the cryptocurrency has been in a state of turmoil. After PhoneArena’s inquiry, it was learned that according to the current price, 0.15 bitcoin, 4.78 Ethereum or 19.84 Litecoin respectively correspond to 570 US dollars and 480 US dollars. 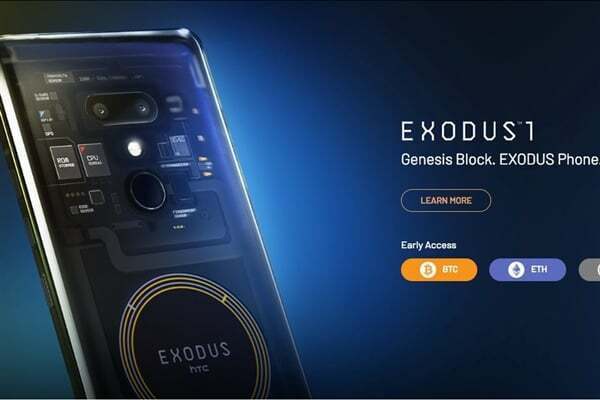 What is even more surprising is that although it is said that it has been shipped on a small scale, the official website has not announced the front shape and all specifications of the Exodus 1, and the HTC operation has “satisfied” itself. The published information shows that Exodus 1 is a 6-inch 2K display, 18:9 ratio, 8 million front, 16 million pixels rear dual camera (four photos total), built-in Snapdragon 845, 6GB RAM, 128GB ROM , 3500mAh battery (USB-C), IP68 waterproof.